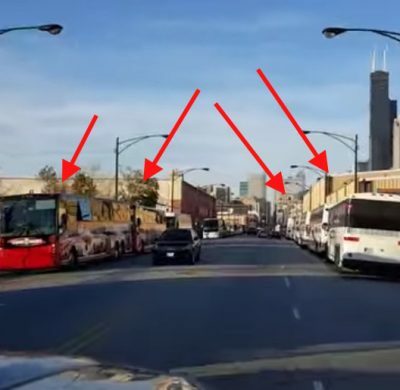 Contrary to mainstream media’s claims that the anti-Donald Trump protesters across the nation were assembled “spontaneously,” involving people from all walks of life”, the truth is, the unruly agitators are not only paid, they are bussed in from other locations. Wikileaks documents show several people profiled by a USA Today piece on the protests of the President-elect, have a history of being professional agitators for the Democratic party. The gainfully employed protesters’ task is to stir up the coals, unleash rioting, some of which have turned violent. 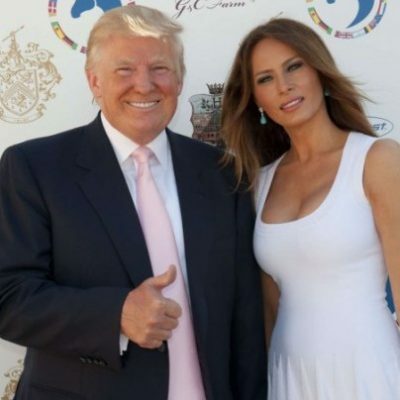 The Associated Press has uncovered the not-so shocking news that decades ago Melania Trump was paid for a number modeling jobs while in the US before she had “legal permission” to do so. According to the AP’s handywork and after endless hours scouring accounting ledgers, contracts and related documents from 20 YEARS AGO – The AP has revealed, Mrs. Trump earned $20,056 during the seven weeks she worked as a model while she was waiting on her work visa. Big whoop. Vice presidential candidate Mike Pence‘s campaign plane slid off the runway attempting to land at LaGuardia Airport Thursday evening, NBC News reports. 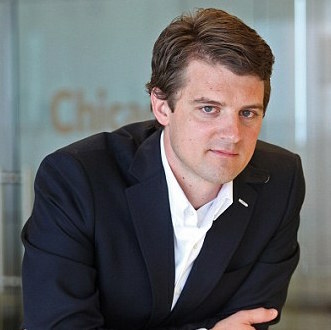 The governor was checked to make sure he was OK, according to an NBC campaign embed. Emergency crews were on site but no injuries were immediately reported. 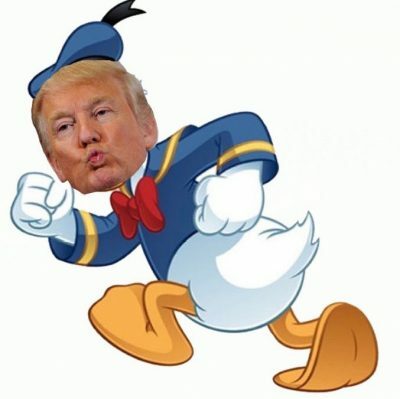 Via DrudgeReport: JAMES O’KEEFE: Hillary PERSONALLY ordered ‘Donald Duck’ troll campaign. In a badly needed moment of comic relief, Donald Trump hoisted his mini-me at a Pennsylvania rally on Monday night to the delight of thousands of supporters. 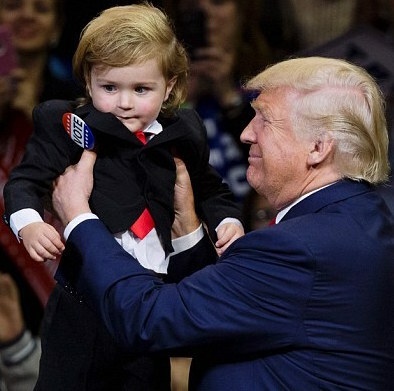 At the halfway mark of a campaign stop in Wilkes-Barre, Trump gleamed a toddler from the crowd who was dressed in a tiny suit sporting a “Vote” button. Of course the devineer little fella also sported a full head of combed over blonde locks. The impromptu moment was nothing short of a showstopper. 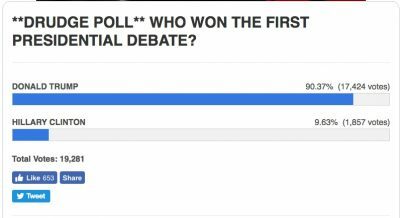 The trusty Drudge Report poll numbers for “who won the Presidential debate?” are in and to say they are one sided would be a YUGE understatement. The early numbers are in, and according to Matt Drudge‘s popular poll, Donald Trump is far and away the winner. Trump received a staggering over 90 percent of the vote among folks who consider him the clear winner. 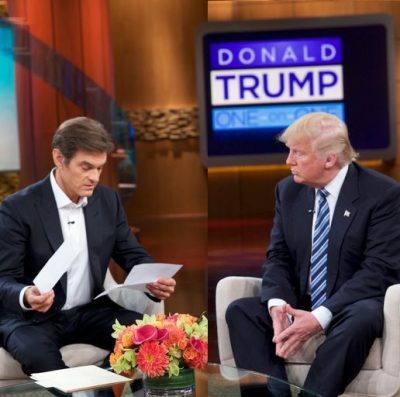 Donald Trump just finished taping an episode of the Dr. Oz Show where the republican nominee shared a the results of his latest physical. 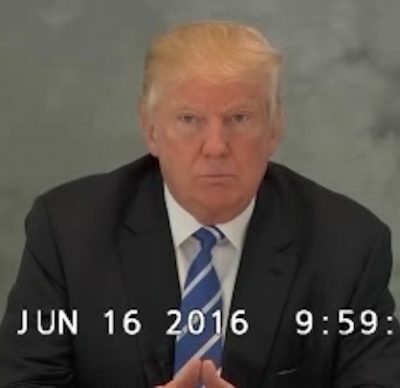 The Dr. Oz Show said in a press release that Trump “shared with Dr. Oz the results of his physical examination performed last week by Dr. Harold Bornstein,” Trump’s personal doctor. 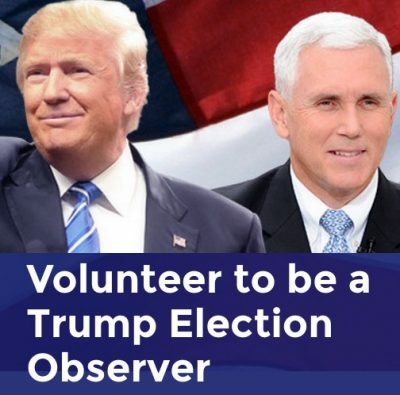 Republican candidate Donald Trump is asking for a few, proud, election observers. Trump has forcefully made the worrying assertion that the upcoming election could be rigged, and he wants you to do something about it. 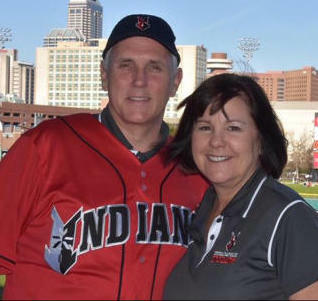 (From the Trump/ Pence website) Help Me Stop Crooked Hillary From Rigging This Election!